Are you searching for the perfect summer wedding cake? 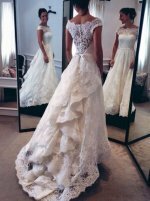 How do you decide what it will be like? 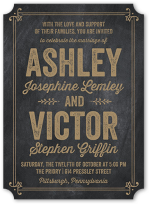 You can use different colors, styles, flowers and even decorations like wedding cake jewelry or cake toppers to make the most out of all of your fabulous ideas. Let us start by choosing by colors. As there are many different colors you can choose from we are going to start looking for the perfect summer wedding cake only by popular summer colors such as pink, yellow, purple and red. 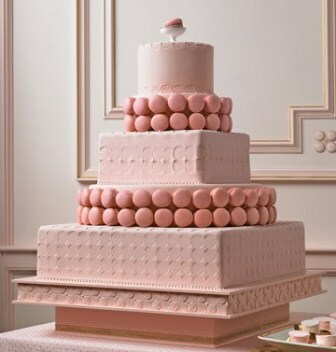 When choosing your summer wedding cake pink might very well be your ideal color. Pink is pretty, soft, delicate and romantic. It is by far the most popular summer color. 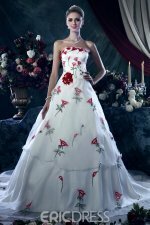 You can find pink things in every type of wedding product you choose from bridesmaid dresses to flowers, favors and decorations. 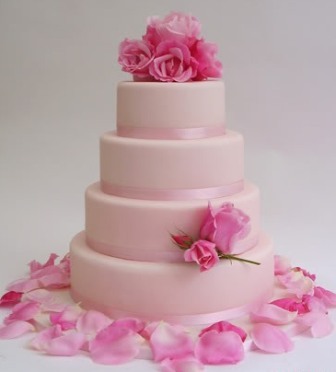 For your cake you can choose to use an all pink cake, pink and white (or any other color for that matter) or different shades from the softest and most romantic of pinks to the most daring and bold hot pinks on the market. Purple can be light and romantic or dark and royal. 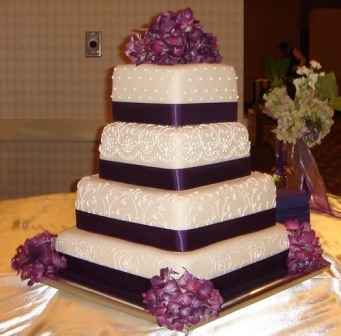 Purple has many different shades and meanings, you can use lilacs or lavender to decorate the cake table or use the color sparingly for just an added bit of flair and style. 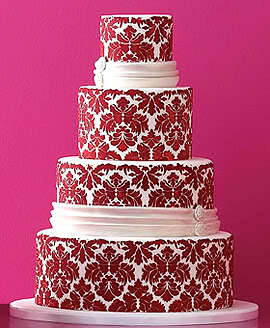 Red is another great color for your summer wedding cake. It represents passion and love. It can be a bold statement against lighter colors and can match everything around it. 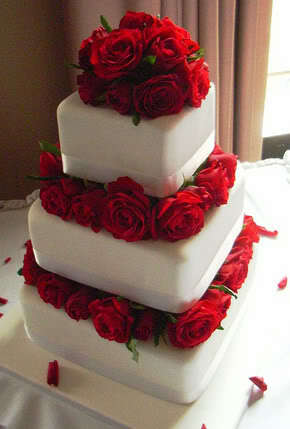 Red is typically used with white or black on wedding cakes. 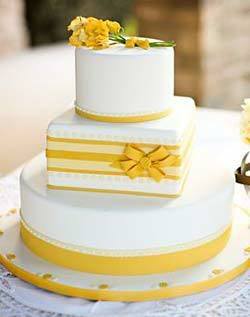 Yellow is a great summer color, perfect for a summer wedding cake. It can be soft and pale or bright like the sun. The softness and the brightness of this color promote cheeriness and remind everyone that the seasons have indeed changed. 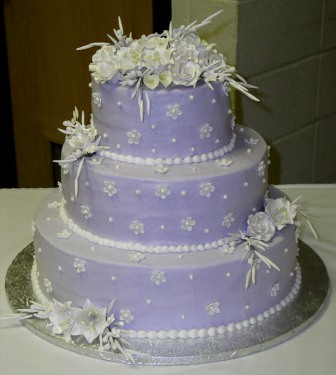 There are many different things you can do to create the perfect summer wedding cake. 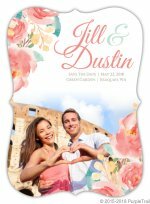 There are themes you can use or add different elements to make it more unique. 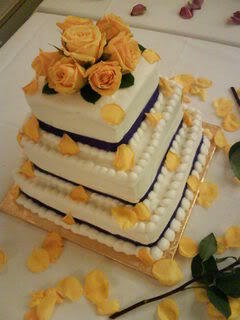 Some great summer wedding cake themes include the beach, nautical, summer flowers, or summer holidays.